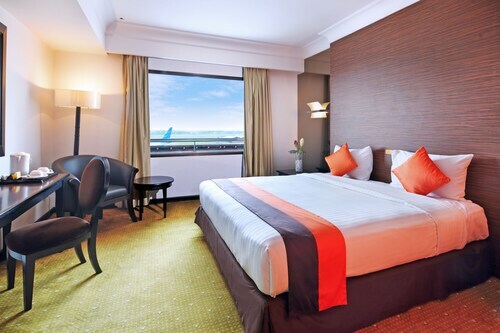 Save by pairing your accommodations and flights. 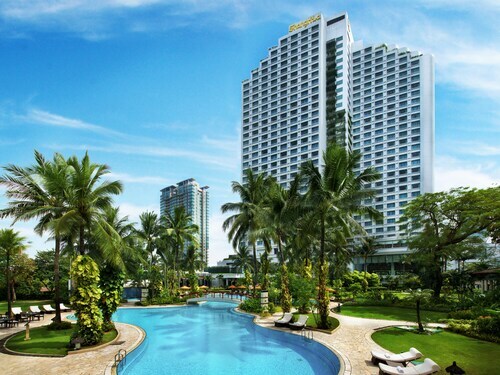 Expedia has heaps of amazing Jakarta vacation packages that'll save you time and give you more cash to spend! As much as 42%* can be saved when you secure your package deal on Expedia. Our impressive international database allows you to search more than 321,000 properties worldwide and 400 partner airlines. With such a terrific range of options, arranging your dream vacation will be easy! You can cancel or change almost any hotel reservation and you won't pay any extra fees to us. It can be quite pleasant to just stroll around the streets when you're somewhere new, but sometimes it's a wise move to form a plan. Grab your travel program — we've got some cool ideas for your upcoming Jakarta vacation. Jakarta and the National Monument are often spoken about in the same breath. A vacation here simply wouldn't be complete without a visit to this famed attraction. You never really know a place until you see its top sights, so why not take a look at Jakarta Cathedral? All you'll need to do is follow the eager crowds! Pacific Place is the place to visit if you're feeling peckish. Just follow the mouthwatering smells to the food court and you'll be feasting in no time! There's an excellent range of things to do in this destination. It's often said that knowledge is power. With that in mind, you'll certainly feel more powerful after spending a couple of hours at Textile Museum. Still got time to spare? Many historic issues have been negotiated within the walls of Presidential Palace. Take it in from afar or up close on an open day or a tour. Vacations are pretty cool to begin with. But taking advantage of the entertaining activities on offer always makes them better! Check out the Jakarta things to do page for a full list of activities. With about 367 Jakarta properties to choose from, you'll be sure to secure a room that appeals to you in the nation's capital. It doesn't matter if you're about cheap vacations or splashing out, we've got your back. It's not every day you get to go on vacation, so why not treat yourself to a night or two in a luxury room at The Dharmawangsa Jakarta (Jl Brawijaya Raya No 26) or The Ritz-Carlton Jakarta, Pacific Place (Jalan Jendral Sudirman Kav 52-53)? With fantastic service and top-level amenities, you'll feel like a rock star! 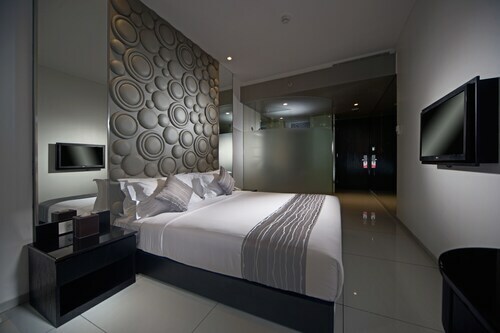 Alternatively, the Marriott Executive Apartments Mayflower (Jl. Jenderal Sudirman Kav. 76-78) and the POP! Hotel Kemang Jakarta (JL. Kemang Raya No. 3) are a couple of accommodations worth considering if you're traveling on the cheap. No trip to Jakarta is complete without spending a little time at the National Monument. The Hotel Borobudur Jakarta and the Aryaduta Jakarta are both worth checking out. Working out the logistics of your trip to Jakarta? Wondering where you'll be landing? Soekarno-Hatta International Airport (CGK) is your closest option. Once you've hit the tarmac and departed from the gate, you'll be 13 miles (21 km) from the happening main streets. Standing high above the city skyline, this giant sculpture boasts superb views and some of the most important documents in Indonesia’s history. Discover the captivating diversity of the Indonesian archipelago at the typical houses, museums and gardens of this all-encompassing theme park. Indonesia’s most important political site is also home to an assortment of stunning artwork and architecture. In the heart of downtown Jakarta is this grand monument, which symbolizes the city’s openness in welcoming visitors from home and abroad. Mingle with the thousands of worshippers who come to pray at this modern mosque, which is one of the largest in Southeast Asia. Indonesia’s rich history and one of the country’s finest examples of Dutch colonial architecture combine in this fascinating museum. Touching on a diverse range of subjects, from ancient humans to life under a foreign power, this superb museum is a riveting look at thousands of years of Indonesia's history. Cruise along glistening water, relax in the sun at pristine beaches and swim alongside colorful marine life at this chain of palm-covered islands. 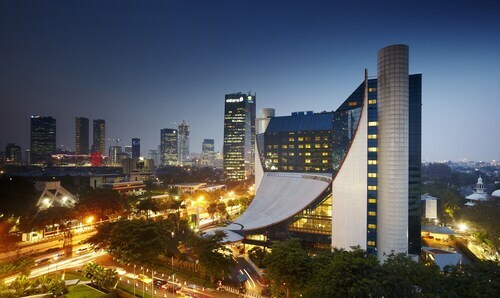 Discover Indonesia’s largest and most beautiful Christian structure, located right in Jakarta’s bustling center. Shop at wide-ranging retail outlets, dine on local delicacies and enjoy family-friendly entertainment at this huge mall in downtown Jakarta. Performing arts, paintings, sculptures and a planetarium are just a few of the reasons to visit this exciting cultural center. Find works by acclaimed Indonesian artists, displays of rare ceramics and Majapahit Empire terracotta pieces housed in an elegant colonial-era palace. Learn about Javanese puppetry via curious displays of puppets and dolls and watch an entertaining show performed by master puppeteers. Watch the lively maritime activity unfold at this ancient harbor, which served as the main port during the Dutch colonization of Indonesia. Take a fascinating tour of Indonesian history from a financial and trade viewpoint via this museum’s interactive and multimedia exhibits. The lookout of Jakarta’s colossal National Monument offers breathtaking views of the plaza and gardens that make up one of the world’s largest public squares. Admire the grandiose façade of one of Jakarta’s finest Dutch colonial buildings, spot a coveted copy of the Bible and attend services in various languages. Spend some time in a lively city square that is bordered by old colonial buildings that house history, art and puppetry museums. It’s clean and convenient. Recommended for business travel. Not too far from the Airport. Staff is friendly. Great location, very attentive staff and good facilities. Building a bit old but renovated tastefully. At the airport and free shuttle available. Clean. Friendly and helpful staff. the best bed I ever sleep on. super comfy! breakfast is da boom! All was fine. The services, employee and transportations.